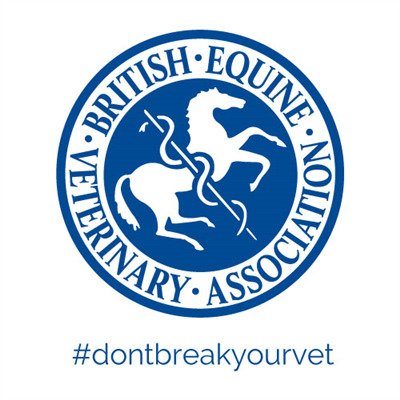 Last week BEVA launched Don't Break Your Vet week in response to the article published in our journal Equine Veterinary Education that highlighted the risks equine vets face. Running from Thursday 1 February, Don’t Break Your Vet week comprised a series of seven short video tutorials featuring vet and equine behaviourist Gemma Pearson and practitioner Malcolm Morley. The videos provide quick and simple techniques to help horse owners prepare their horses to be quiet, relaxed and safe for veterinary, and other procedures, including clipping and giving oral medication such as wormers. "It's been brilliant to see horse owners, vets and all sides of the equine industry get behind Don't Break Your Vet week" said David Mountford, BEVA's Chief Executive. "We've had a tremendous amount of support for the videos, which are permanently available via our YouTube channel. We hope that vet practices will continue to share the videos with their clients as one measure to help make it safer for the horse, owner, vet. and vet nurse". The videos can be viewed on our YouTube channel. You can see more by following the hash tag on Twitter or on our Facebook page.